Vancouver YouTuber Kurtis Baute in Saskatchewan. 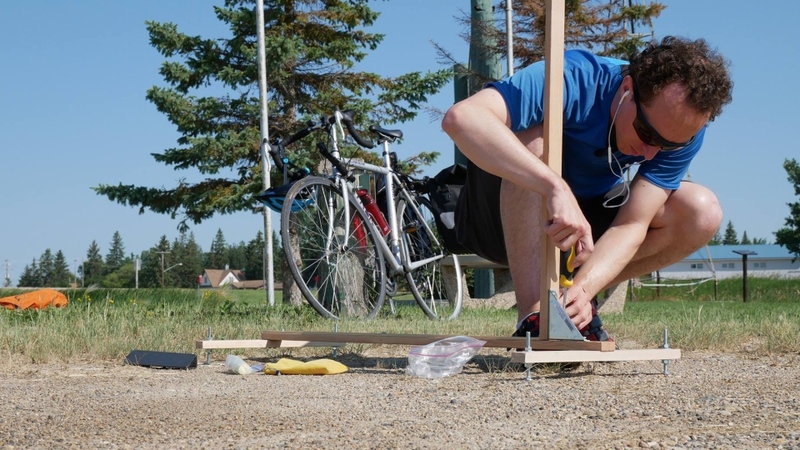 A Vancouver educator, who quit his day job to make fun-filled Youtube science videos, took his bike and sundials – yes, sundials -- to the flattest part of Canada to prove that the world is round. “It’s a very simple experiment. [Eratosthenes] did this, 2,200 years ago,” Baute said in a CTV interview. The former science teacher went to Saskatchewan to recreate an ancient experiment from 240 B.C. or so by a Greek mathematician Eratosthenes who was the first person to measure the earth’s circumference using shadows. “Instead of using a bike," said Baute, "he had someone pace out 800 kilometres on foot and count the distance.” The classical age scholar, who was also the chief librarian to the Library of Alexandria, then measured the shadows on wooden sticks. Baute re-did the mesasurement on the prairies last week as a way to demistify how basic scientific truths are known. He chose Saskatchewan, he says, because Highway 33 is one of the longest and flattest roadways on the globe. 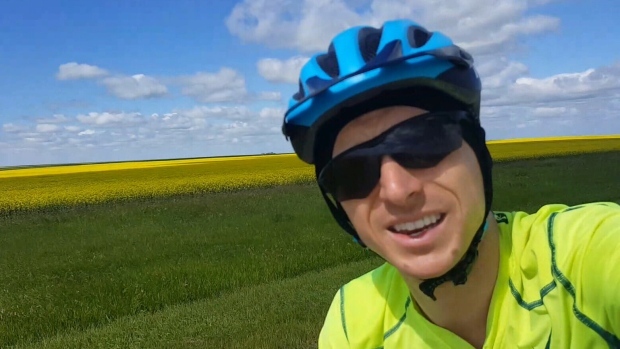 But instead of walking it in Egyptian sandals and a robe, he pedaled in spandex to mimic the measurement from antiquity, passing canola fields and big blue skies along the way. 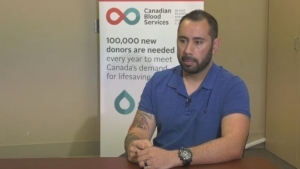 “I thought that biking for a straight line for 140 kilometres was going to be really boring. But it’s just beautiful here!” he says into his GoPro camera mounted his roadbike. The YouTuber then set up his first sundial in the small town of Broughton. A second sun dial was arranged by two members of the Saskatchewan Science Centre in Regina. Then voila, around 11 a.m. one morning, one stick’s shadow was measured 3.9-centimetres longer than the other. Baute calculated this to be proof the world is a sphere and to verify that the planet’s circumference is about 40,000 kilometres around. “It tells us the globe is a knowable thing. It think that’s really incredible,” said Baute. He adds, the project was done in part because of what he sees as a growing anti-science sentiment on social media, especially in the United States. “NASA is only going to tell us what they want us to know,” said one vocal woman at an unidentified U.S. Trump rally in a Comedy Network video this month. "I'm so baffled by NASA conspiracists," said Baute in response to that comment. Baute loves other quirky calculations too. He recently spent three weeks working out how far to stand from his camera to a create what he says is a perfect thumbnail image for his Youtube channel: a silhouette of himself entirely inside the sun behind him. “I realized if the sun is 150 million kilometres away and I’m only a 1.7 metres high, [then] for this to work the distance between the camera and me… needs to be 100 to 200 metres,” he said in one the videos on his Youtube channel.